Find out which days are favorable for the gardener’s lunar calendar in February for transplanting, planting and caring for plants. Given the lunar day and the phases of the moon, you can create all the conditions for the healthy growth and development of your home garden and increase the harvest in the garden! February 1 —13 lunar day, Moon in Cancer. Favorable will be the following work: soaking seeds, sowing and transplanting, loosening, feeding and composting, grafting, grafting. Planting and sowing: legumes, melons, fruit and berry plants. February 2 — 14 lunar day, the Moon in Leo. Good day for grafting and feeding plants. It is also recommended watering, picks. February 3 — 15 lunar day, the Moon in Leo. It will be useful to control pests and remove dried branches and leaves of plants, spraying. February 4 — 16 lunar day, the Moon in Leo. On this day, work in the garden and the garden on the lunar calendar is not recommended. February 5 — 17 lunar day, the Moon in Virgo. Watering and fertilizing is recommended. Effective today will be the pest control and removal of dried branches and leaves of plants. February 6 — the 18th lunar day, the Moon in Virgo. The watering and fertilizing of plants, as well as the treatment and control of pests will be favorable. After 9 pm you can swoop down the plants. February 7 — 19 lunar day, the Moon in Libra. A good time on the lunar calendar gardener gardener in February of the year for watering and feeding plants. Spraying and pest control. After 9 pm — it’s time to sow celery and onions for seedlings. February 8 — 20 lunar day, the Moon in Libra. It is recommended to water and feed, as well as planting bulbous plants. February 9 — 21 lunar days, the Moon in Libra. Useful will be: watering, feeding, planting bulbous. After 10 o’clock in the morning — picking seedlings, sowing tomatoes, eggplant, pepper, cabbage for seedlings. February 10 — 21 lunar day, the Moon in Scorpio. Watering and feeding, sowing bulbous. February 11 — 22 lunar day, the Moon in Scorpio. Watering and feeding, planting onions, picking up seedlings, planting tomatoes, peppers, eggplant and cabbage for seedlings. February 12 — 23 lunar day, the Moon in Sagittarius. Till 8 pm — watering and dressing, picking, planting tomatoes, melons and peppers on seedlings. After 8 pm pest control, removal of diseased leaves and spraying will be helpful. February 13 — 24 lunar day, the Moon in Sagittarius. According to the gardener’s lunar calendar, in February this day will be successful for pest control and plant treatment. February 14 — 25 lunar day, the Moon in Sagittarius. Spraying, pest control, plant treatment. February 15 — 26 lunar day, the moon in Capricorn. Effective will be watering and feeding, planting bulbous plants for seedlings. February 16 — 27 lunar day, the moon in Capricorn. Watering, feeding, sowing celery and onions in seedlings. Sampling of seedlings, sowing cabbage. 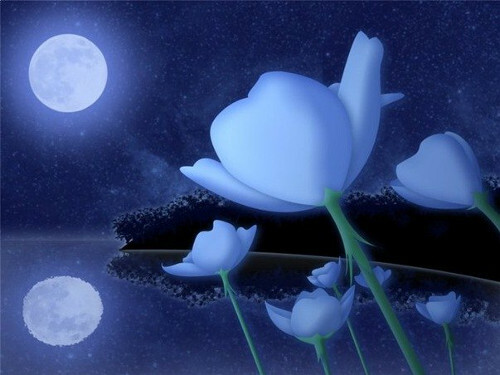 February 17 — 28 lunar day, the Moon in Aquarius. According to the lunar calendar gardener gardeners will be useful for the destruction of pests, treatment, removal of dried leaves of plants. February 18 — 29 lunar day, the Moon in Aquarius. To work in the garden and the garden on this day is not recommended. February 19 — New Moon, the Moon in Pisces. To the benefit will moderate watering and fertilizing. It is recommended to plant tomatoes, peppers, melons and bulbous. February 20 — 3 lunar day, the Moon in Pisces. It is recommended that watering, fertilizing, planting melons and bulbous on seedlings. February 21 — 4 lunar day, the Moon in Aries. Treatment of plants, pest control, removal of dried leaves and branches of plants, shrubs and trees. February 22 — 5 lunar day, the Moon in Aries. Treatment, pest control, removal of dried leaves and branches of plants, shrubs and trees. February 23 — 6 lunar day, the Moon in Taurus. We recommend watering, dressing, picking, planting plants (melons, bulbs and cabbage). February 24 — 7 lunar day, the Moon in Taurus. Watering, feeding, picking, planting plants for seedlings. After 8 am — sowing onions and celery. February 25 — 8 lunar day, the Moon in Gemini. Treatment of plants, spraying, pest control, removal of dried branches from plants. February 26 — 9 lunar day, the Moon in Gemini. Treatment of plants, spraying, pest control, removal of dried branches from plants. February 27 — 10 lunar day, the Moon in Cancer. On this day, according to the lunar calendar of a gardener, plants need watering more than ever. Recommended planting tomatoes, cabbage and peppers. February 28 — 11 lunar day, the Moon in Cancer. Abundant watering, dressing, picking seedlings, planting melons, peppers, tomatoes and cabbage for seedlings.